After four decades with four baseball teams, Nolan Ryan hasn't lost one mile-per-hour from his legendary fastball--nor one ounce of respect from his fans. Despite his athletic accomplishments, Nolan's real story is even more striking, for his is the testimony of a man who has paid an enormous price for a successful career--without leaving his family behind. 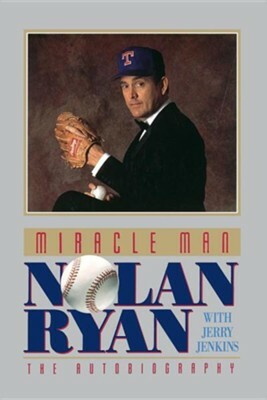 I'm the author/artist and I want to review Miracle Man: Nolan Ryan.